Muriel Blais was born on January 3, 1927 in Faribault, MN. She was the daughter of Joseph Louis and Doris Veronica (Fitzsimmons) Blais. Muriel was the first baby born in Faribault that year. She always joked about going to the hospital to claim a gift since she was told that no gifts were given that year. Muriel's father was a farmer in Rice County where Muriel attended rural schools. She won chicks in a local radio contest; they would follow her everywhere. She loved having her "town" cousins come out to the farm. They would pretend to ride the horses, jump off the barn roof and climb the silo. She recalled that her farm was one of first to have electricity. Muriel's father died unexpectedly during her senior year forcing her and her mother to move into Faribault. Muriel graduated from Faribault High School with the class of 1944. After graduation, Muriel worked at the Deaf School, excelling in typing and shorthand, also learning sign language. She competed in the Faribault Snow Queen competition in 1945 and was one of the ten finalists. She attended Mankato State Teacher's College for a year. After the war Muriel met Edward Severson at a band concert in the park. Ed waited outside her building at the Deaf School and walked her home from work everyday. They fell in love and were married on October 4, 1947 in Faribault. After a honeymoon to northern Minnesota, the couple moved to Mankato where they lived at the college barracks. The first two of her five children, Jon and Mike, were born in Faribault. Edward secured his first teaching job and the family moved to Superior, WI in 1953 where the family grew with the birth of Eddie and Ann. They moved to Waseca, MN in 1958 where Mary was born. Muriel found time to be a Cub Scout den mother for Eddie and also sang with the Sweet Adelines. 1963 brought them to Inver Grove Heights. Muriel loved gardening and walks through the nearby park. She enjoyed seeing all the wild flowers and could lead you to nearby berry patches for a mid-walk snack. Ed and Muriel hosted Christa, a foreign exchange student from Switzerland, in 1973-1974. To this day she is her third daughter. Muriel began retouching photos, attending retouching conventions and winning awards quite consistently. She was also very crafty trying stained glass, decoupage and sand art to mention a few. She enjoyed sewing, needlepoint, and cross-stitch. She passed her knitting and crocheting skills on to her daughters and granddaughters. Her chokecherry jelly was a family favorite. Muriel and Ed were great reunion attendees. They enjoyed visiting with Muriel's Blais relatives who came to Faribault quite regularly from as far away as California. She had a great love for her father's sisters who were nuns. 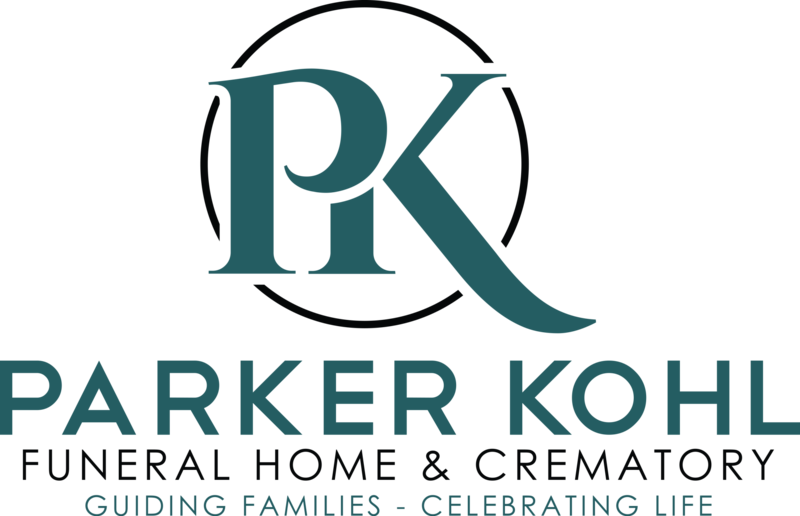 They would attend Gretz family gatherings and meet with their Superior and Waseca friends regularly. They would return for many Faribault High School Class of 1944 reunions. Muriel last attended her 71st in 2015. In 1987 Ed and Muriel retired to a home on Bass Lake near Springbrook, WI. Friends, kids and grandkids filled the lake house in the summer. The day wasn't complete until the dessert-cruise, usually with a grandkid steering the pontoon boat. Muriel played duplicate bridge, sometimes twice a week. She participated in bridge competitions where she typically did quite well. She enjoyed water aerobics in town during the winter. You could count on her to be swimming in Bass Lake by Memorial Day. Friday meant "Fish Fry!" They were well known at the local resorts. Their children surprised them on their 50th wedding anniversary with a celebration in 1997. Ed and Muriel traveled the US attending USS Howorth reunions hosted by shipmates - as long as they could go by car. Ed avoided flying but Muriel was able to convince him to fly to Jamaica with friends and to Alaska to visit their son Jon. When trying to get him to go to Hawaii, he said he had been there during the war and that was good enough. So Muriel went to Hawaii with her mother Doris and daughter Ann to meet son Jon's family. Muriel was a good sport and game to go on canoe trips (4 in all) with family in the Boundary Waters well into her 60's. Dressed in their Norwegian sweaters, Ed and Muriel went to Sons of Norway meetings and annual lutefisk dinners. Volunteering for the American Birkebiner in Hayward brought them out in the February cold, handing out oranges and hot chocolate to skiers. In 2011 Ed and Muriel moved to the Northfield Retirement Community. Muriel continued playing bridge and of course they went to Friday fish fries. Ed and Muriel shared 66 years of marriage. Ed passed away in 2014. Falls forced Muriel to spend her last years in the nursing facility. 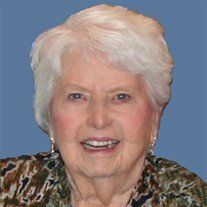 Muriel passed away on September 16, 2017 at the age of 90 at the Northfield Care Center. Muriel took pride in spending time with her family. There was always a hug and a smile, especially for the little ones. She will be remembered for her sense of humor and loving heart. She was proud of her large family and will be missed by all. She will be interred at Northfield Cemetery next to her husband.